AUBURN | Frances C. Patience, 97, of Auburn, passed away peacefully Sunday evening, Sept. 23, 2018, in Cortland. 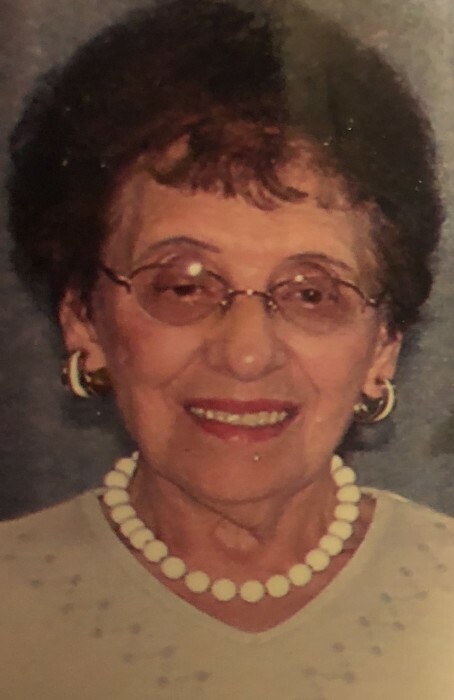 She was born in Auburn, the daughter of the late Frank Vistocco and Carmella Gioia Vistocco and had been lifetime resident of the area. Frances was a very devout Catholic and longtime communicant of St. Francis of Assisi Church. Prior to her retirement, Frances had been employed for more than 20 years by the former General Electric Co. Frances took great pride in maintaining a very meticulous home. She cherished the many memories that she was fortunate to have with her family and friends. She is survived by her loving children: son, Gerald (Pam) Patience, of Auburn; daughter, Elaine (Paul) Kozub, of Cortland; sister, Lena Viscome, of Fulton; four beloved grandchildren, Dr. Brian (Elizabeth) Patience, of North Carolina, Christopher (Andrea) Kozub, of Skaneateles, Jeremy (Kathy) Kozub, of Auburn, and Amanda Kozub, of Corning; four great-grandchildren, Rose, Asher, Abby, and Riley Kozub; as well as several nieces and nephews. In addition to her parents, Frances was predeceased by her husband, Gerald in 1986; sisters, Rose Vistocco, Ida Wincowski, Abie Tulett, Angie Loiacono, and Mary Netti; brothers, Louis and Ernest “Bucky” Vistocco. There are no calling hours. Friends and relatives are invited to join the family for her Mass of Christian burial at 11 a.m. this Friday in St. Francis Church. Burial will follow in St. Joseph’s Cemetery.